Hey Comic Impact sorry for the delay on the podcast this week we had to update our iTunes feed. All episodes will only be on the new feed so please subscribe to the new feed on the iTunes music store for free.! Our entire old episodes will be on this feed shortly. The other feed will NOT WORK ANYMORE. So please subscribe to the new feed. 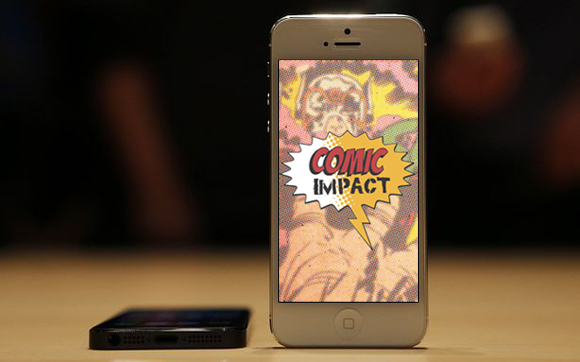 Comic Impact is your one stop shop for everything impacting the world of comics! Join the Comic Impact team weekly as they talk about new titles that are released and on The Pick of The Week Podcast (POW)! That’s not all though! The team also does a show called The Impact where they go over major things happening in comics that also bleed over to TV, Film & Games! Comic Impact is not just limited by these two podcast they are constantly growing to include interviews with your favorite writers and artist and coverage of BIG events like SDCC as well as developing new podcast for you to enjoy. Whether you are just now getting back into comics or you are a life long fan like Sheldon and Simon, Comic Impact is the one place for you to catch up and stay on top of everything that is going on in the world of comics! Your friends at Comic Impact.